The idea of the Phlogistoncreme was to apply the juices of the plants permanently to the skin. If the skin is wetted with the juices, they flow away quickly and they form only a thin layer. And in our case it is so, much helps a lot. 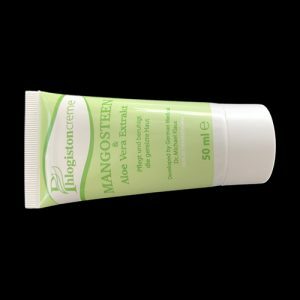 Besides, in the household you also may have some Aloe Vera juice, but with the Mangosteen juice in this form, we are the only worldwide that can use it in cosmetics. So we need a paste-like substance, which lasts long with the juices on the skin. A good paste-like substance is our cream, also with a high proportion of 20% of the natural juices. So we don´t need and like Cortisone or Silicone or other chemical stuff at all. We took our time, sat down in the jungle and watched the nature handling wounds, fungus infections or also other diseases for individual survive. We just copied the nature, mixed it all together in a skin cream and applied it to our skin. It works astonishing good, specially inflammatory skin diseases, like infections or inflammations without bugs, fungus, viruses. The last is e.g. Psoriasis, Neurodermatitis, Rosacea, Seborrhoic Eczema, hemorrhoids, infections are Acne, Herpes Simplex, Warts, fungus infections, Carbuncle etc. Our combination of extracts from Aloe Vera, Mangosteen, Lavender oil, Vitamin E, Olive oil maintain the skin noticeably immediately, so that all irritation and redness also fade by the improved structure of the skin. As I said before, our Phlogistoncreme helps better the more you apply on the irritated areas. So we apply it thick like a paste on the irritated skin areas and do not rub it either. If the skin curses about their condition with irritation, redness, pain, itching, dandruff, then apply thickly, leave at least 20 minutes afterwards you can wipe it off. We developed he first anti-itching natural cream worldwide. Anti-inflammatory and anti-microbial effect against acne, psoriasis etc. The Maveracream® brand was established in September 2008 with the aim to provide high-quality creams made from pure, natural ingredients without animal testing and without chemical active pharmaceutical ingredients to treat a variety of skin and hair conditions. Since 2016 Phlogistoncreme has become the successor of our Maveracream®. I am a medical practitioner based in London using Vegatest technology. Naturally I have just recommended this cream to a patient having tested the individual components. I ordered some for family use. I have to write you again because I am still a huge fan of Mavera cream – I use it all the time for all sorts of things. Its nearly immediate effect on mosquito bites is fantatstic – they really stop itching after a few minutes – and the astonishingly quick results when I use it for fungal infections on my feet – the lesions often heal over night! I also love your Mavera Eye! While my wrinkles are too deep to disappear completely, I have noticed that the lines are not so deep and pronounced any more and some of my old acne scars (from my teenage years) have nearly dissapeared! quite something!!! greetings from down under from a very happy customer. first quite speedy recovery and good luck with your recovery. I want to thank you very much. We spent our vacation this year in Koh Samui. By chance we got the magazin called farang in the hands and read your ad from the Maveracream. I suffer from psoriasis for about 10 years in the groin. It has itched like crazy. Nothing but nothing helped. It has constantly wetted. Even the clinic for dermatology in Cologne could not help me. When we got back I ordered on Ebay your cream. The miracle happened. I can sleep through it without being awake, that I scratched me. Your cream is really a miracle. Daaaaaaaaaaaanke. I’m doing for years again really good. 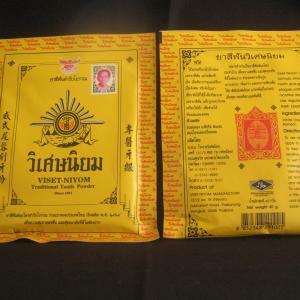 Das Zahnsalz Viset-Niyom aus Thailand ist optimal zur Zahnpflege und des Zahnfleisches. Ohne jede Chemie und ohne Seife wie sonst in der Zahnpasta. Viset-Niyom besteht nur aus weißer Heilerde, Salz, Borneol, Menthol. Die Zähne werden mild gereinigt, jeglicher Plaque entfernt, sie erstrahlen so sauber wie nie zuvor. Bei Entzündungen des Zahnfleisches mit dem Finger etwas Zahnsalz auf die Stellen mild einmassieren. Bakterien mögen Salz gar nicht, das kennt man vom Pökeln, deshalb lang anhaltender guter Mundgeruch und keine Chance der Paradontose oder Karies. Der Versand ist aus Thailand und dauert Wochen. Dafür halten die 2 Tüten mit dem Zahnsalz länger als 4 große Tuben Zahnpasta. Beim Bestellen bedeutet 1 Bestellung in den Warenkorb 2 Tüten für Sie. Also 5 € je Tüte. 2 Bestellungen in den Warenkorb sind dann 4 Tüten. 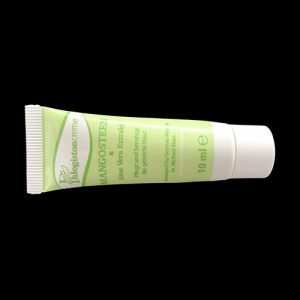 Phlogistoncreme® – Small tube of Phlogistoncreme 10 ml. Phlogistoncreme® – Large tube of Phlogistoncreme 50 ml. 3 tubes of Phlogistoncreme totalling 150ml at a significantly reduced prices.